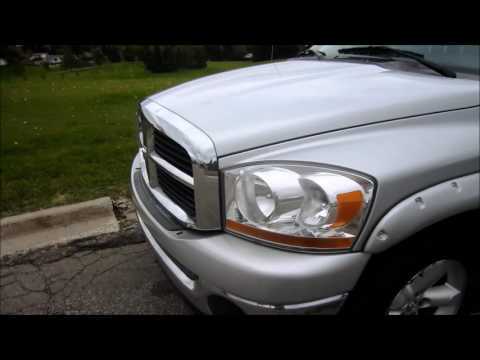 Dodge Ram 1500 mega cab is reliable! I love my Dodge Ram 1500 mega cab! It is big an beautiful and runs like a champ. It has plenty of room for a family or several adults. And because it is a mega cab there is room behind the back seat. A six foot or taller man can sit comfortably in the back seat! The back seats also fold down. There is also a cup holder that folds down in the middle of the back seat. It is reliable, I have not had any major issues with it. The biggest issue I have had with it is the �death wobble�. I found out after I bought it that this is a common issue with this year & model of Dodge truck. It does not get good gas mileage, but most trucks do not. Over all, I love it! I love that the Dodge Ram 1500 has a 5.7L HEMI! I love my Dodge Ram. I is big and beautiful. I purchased it used over a year ago and have not had any major mechanical issues with it. Here are the issues I have had: 1) the dodge truck death wobble, which upon doing research is common among this year. The gear that allows the seat to move up & down is no longer working. The truck doesn't get good gas mileage, but I was aware of that prior to buying it. You don't buy a truck for the gas mileage. I have never had any issues with hauling anything or pulling a trailer. I love my dodge ram, I just wish I could afford a newer one! Good, dependable vehicle. Gets decent gas mileage. Comfortable. We bought this truck second hand. Although we have had some minor issues with it, overall we love it. It is a 4 door quad cab which makes the interior very large and roomy. The seats are quite plush and comfy. We frequently drive to another state to visit family and the size of this cab makes this truck ideal for this. There is plenty of room to stow all of our bags, still allowing plenty of room to stretch out and get comfortable during the long drive. The communications board in the dash also provides us with a wealth of information along the way. ON CERTAIN PICKUP TRUCKS FAIL TO CONFORM TO THE REQUIREMENTS OF FEDERAL MOTOR VEHICLE SAFETY STANDARD NO. 208, 'OCCUPANT CRASH PROTECTION. THE PASSENGER AIR BAG MAY DEPLOY WITH EXCESSIVE FORCE WHEN CERTAIN MODEL REAR FACING CHILD SEATS ARE INSTALLED IN THE RIGHT FRONT PASSENGER SEAT POSITION. THIS CAN INCREASE THE RISK OF INJURY TO A CHILD SEAT OCCUPANT DURING CERTAIN CRASH CONDITIONS. DEALERS WILL REPLACE THE PASSENGER AIR BAG CUSHION AND REPROGRAM THE OCCUPANT RESTRAINT CONTROLLER. THE RECALL IS EXPECTED TO BEGIN DURING OCTOBER 2006. OWNERS MAY CONTACT DAIMLERCHRYSLER AT 1-800-853-1403. CERTAIN PICKUP TRUCKS FAIL TO CONFORM TO THE REQUIREMENTS OF FEDERAL MOTOR VEHICLE SAFETY STANDARD NO. 208, OCCUPANT CRASH PROTECTION. THE FRONT PASSENGER SEAT BELT MAY NOT BE ABLE TO TIGHTLY SECURE CERTAIN MODEL CHILD SEATS. DEALERS WILL REPLACE THE FRONT PASSENGER SEAT BELT. THE RECALL IS EXPECTED TO BEGIN DURING OCTOBER 2006. OWNERS MAY CONTACT DAIMLERCHRYSLER AT 1-800-853-1403. ON CERTAIN 4-WHEEL DRIVE PICKUP TRUCKS, THE TOTALLY INTEGRATED POWER MODULE (TIPM) MAY CONTAIN INCORRECT TRANSFER CASE CALIBRATION SET POINTS, POTENTIALLY RESULTING IN INADVERTENT TRANSFER CASE DEFAULT TO NEUTRAL. DEALERS WILL REPROGRAM THE TIPM WITH NEW SOFTWARE THAT PREVENTS THE POTENTIAL FOR THIS CONDITION. THE RECALL IS EXPECTED TO BEGIN DURING NOVEMBER 2005. OWNERS SHOULD CONTACT DAIMLERCHRYSLER AT 1-800-853-1403.